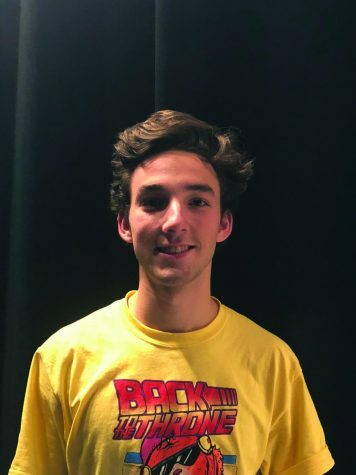 In the spring of 2018, the LHS student body elected Drew Fenter to be the ASB president for his senior year. Many might have suspected him taking over this role, however, he never envisioned himself as president. Fenter said he always knew he wanted to be a part of school leadership, he just never imagined he would become the class president. “When I was coming in [to high school] I had friends in leadership, so I knew I wanted to be in it too,” explained Fenter. As the school year passes, he has proven to be an effective student leader. ‘Members of the team need to exhibit characteristics of effective communication and the ability to grow as a leader’, according to Ricky Guzman, the LHS adviser for ASB. “Drew is genuinely a good person, a good guy, who cares and is passionate about stuff he’s involved in,” Guzman said. “I think he takes his responsibilities seriously, [and] I think he is also very amiable,” Guzman said. As a school president Fenter is in charge of multiple responsibilities. Fenter is in charge of running events, assemblies, saying morning announcements, and giving oversight to student of leadership. Drew Fenter expresses a smile after the annual LHS Golden Throne informational assembly. [/caption]Fenter wants to attend University of Utah for biomedical engineering. However, here at LHS he wants to be remembered as the ASB president who gave his best and who successfully planned events.